Enhance your security intelligence with more app features and up to 30 days of video playback. 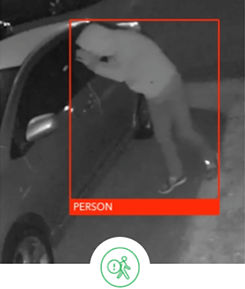 Extra intelligence for your Arlo cameras to give you a more personal and purposeful home security experience. Advanced AI and computer vision technology allows your camera to distinguish people from other forms and movements. 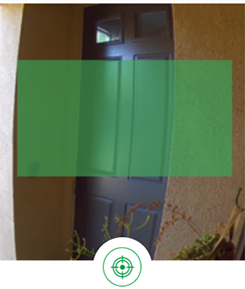 Determine a specific area in your camera’s view where you want to receive motion alerts that ignore other areas. Every Arlo camera includes rolling 7-day cloud storage, and you can easily upgrade for even more. Receive immediate detailed notifications right on your lock screen to quickly respond to an incident if necessary. Your Arlo camera comes with a rolling 7 days of cloud recording. But if you want to keep your videos around longer and get the best Arlo experience, upgrade your plan with Arlo Smart’s advanced AI features to get personalized notifications and additional peace of mind. Enable Arlo Smart for all your cameras & store recordings longer. Enhanced notifications that tell you what Arlo sees and hears, right from your smart phone lock screen. †e911 Emergency Call Service feature available only for U.S. Arlo camera users. 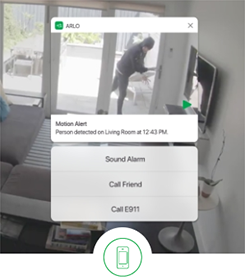 Using advanced AI and computer vision technology, your Arlo security camera can alert you when it detects a person. Your camera will filter out notifications from everyday movement, like swaying tree branches, so you only get the alerts that matter. Now, your battery-operated cameras don’t need to be plugged in for you to create custom activity zones. 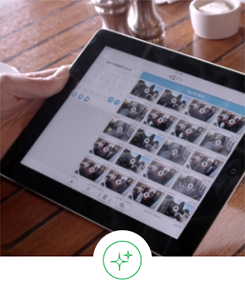 Use the Arlo app to highlight a specific area in your camera’s view where you want motion alerts from. Your camera will ignore motion outside of these zones so you get more of the alerts you care most about. See how you can reduce unwanted alerts with Arlo Smart. Your Arlo security camera can now alert you when it detects a person and filter out notifications from everyday movement, so you only get the alerts that matter. 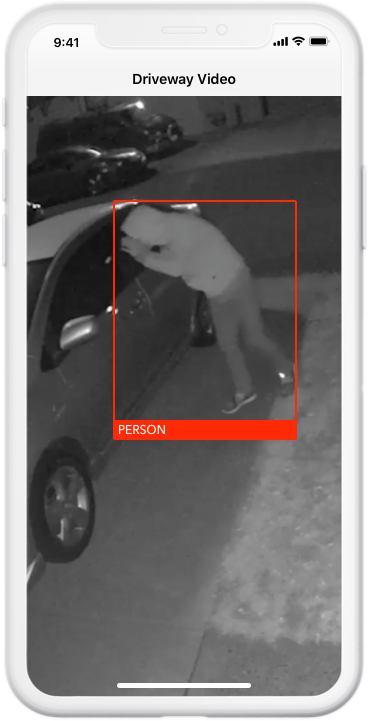 Arlo Smart adds powerful intelligence to your Arlo security cameras. Using advanced AI and computer vision technology, your Arlo cameras can now have Person Detection and Cloud Activity Zones. In a few steps, you can be notified when a person arrives to your door, instead of a tree swaying in the wind. To be alerted only when Arlo detects a person, use Arlo Smart and visit the Smart Notifications section in the settings. Check "People" under Smart Alerts and disable "Other." Setting up a Cloud Activity Zone is also easy. Visit Video Settings and to set a Cloud Activity Zone so you only get notified if movement is detected in the area you want, such as a walkway or front lawn. 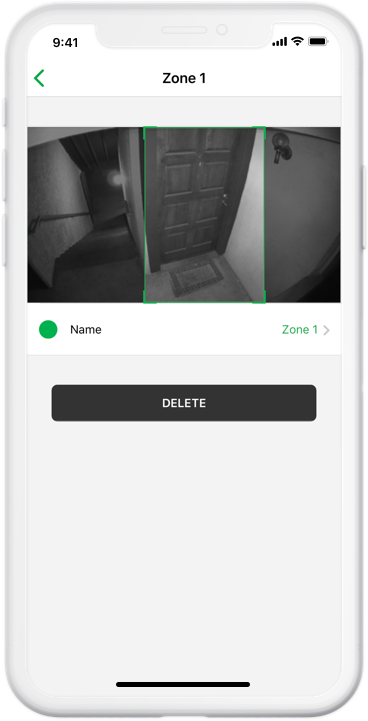 Your Arlo cameras will now determine if movement is detected in that zone before sending an alert to your device. Save time with Arlo notifications on your smartphone’s lock screen. Alerts include an image of what caused motion so you can immediately see what’s happening. Tap the notification to watch your camera’s live stream, turn on the siren, call a friend, or contact the emergency dispatcher. With Arlo Smart, you now get Rich Notifications, so you can see what's happening when the camera starts recording and take action quickly. See how Arlo Smart gives you a quicker and more convenient way to get notifications in this short video. When you have Arlo Smart, your notifications are rich with information and you can take action immediately. 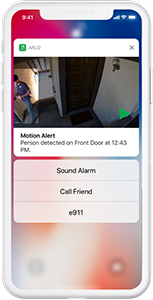 Save time with Arlo notifications on your smartphone's lock screen that includes an image of what caused the motion. Tap or swipe the notification to turn on the alarm, call a friend, or call e911. With rich notifications, you'll save valuable time in emergency situations. See suspicious activity on your Arlo’s live feed? Use e911 to get in direct contact with emergency responders near your home instead of the ones from your current location. Save precious time to get the help you need for your home and loved ones, even if you’re miles away, without the hassle of being redirected. See how the e911 Emergency Call Service on Arlo Smart saves you precious time in emergency situations, especially when you're away from home. The e911 Emergency Call Service lets you get in direct contact with emergency responders near your home instead of your current location. Calling 911 from your mobile phone will contact responders closest to your location, which may not be ideal if you are miles away from home. You'll need to be redirected to the responders closest to your home, which adds precious minutes in an emergency situation. With Arlo Smart Premier or Arlo Smart Elite plans, you get the e911 Emergency Call Service. With e911, Arlo knows to call the responders closest to your home and can provide your home's location, even before you tell the responders. With e911, you can get the help you need as quickly as possible. 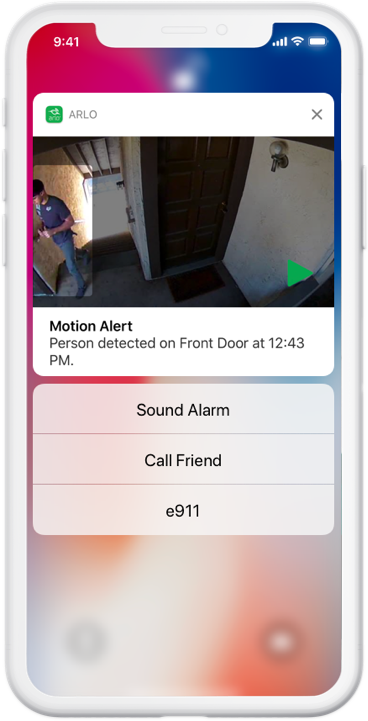 e911 is accessible through Arlo rich notifications on your lock screen, the Arlo app, and through a web browser. The e911 Emergency Call Service is only available on Arlo Smart Premier and Arlo Smart Elite plans in the United States.